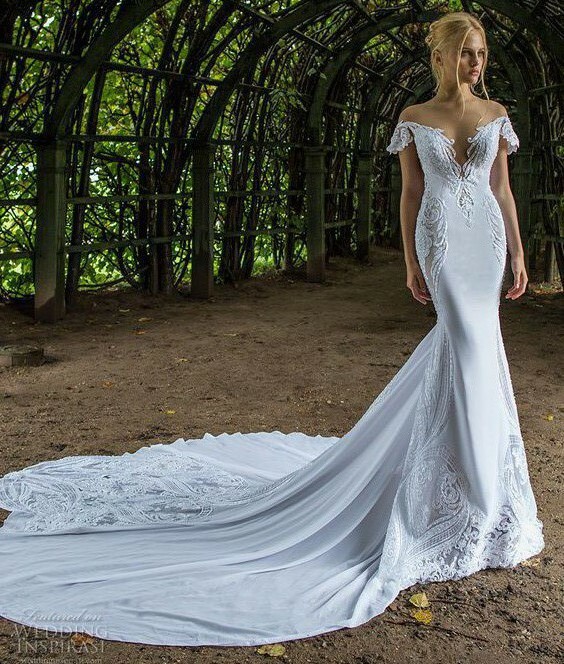 Nurit Hen is situated today as one of the top haute couture luxury brands in Israel. In the last few years, her collections have spread and grown rapidly world-wide. I had this dress made in Israel as the designer is based in Israel and then sent to Australia. The material is 100% authentic from Israel and was not sourced from Asia. The dress was designed, produced and quality checked in Israel. Feel free to ask me any question and try on the dress obligation free! Adjustment to the off the shoulder sleeves as my frame is not broad, I had to take this in slightly. The lace was simply overlapped and brought in and can be easily unpicked if required as this was a hand sewn alteration.